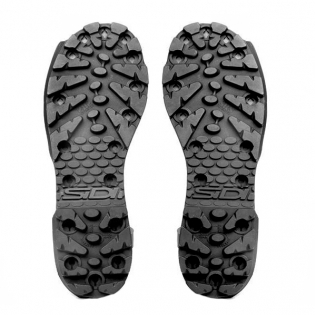 The Sidi SRS Enduro Soles are replacement boot soles which have been specially created so as to offer you a more secure footing. The rugged design makes these boot soles ideal for uneven and slippery surfaces, whilst also preventing slipping on the screws that secure them to the bottom of the boot. Designed to withstand wear and tear exceptionally well, easily replaceable and compatible with Sidi SRS Boots. 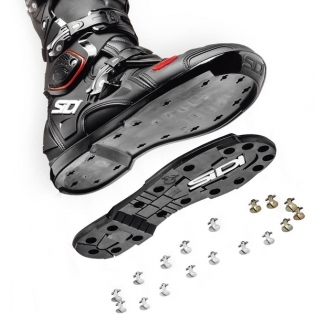 Sidi offers the Enduro sole as a substitute for the standard sole when the going gets slippy!. 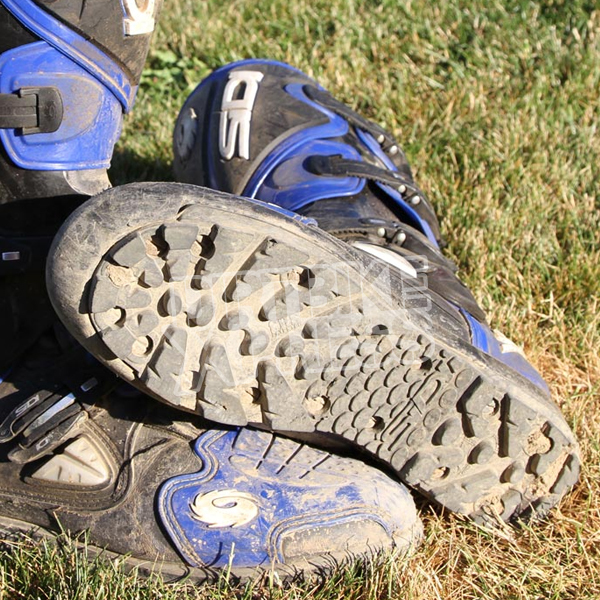 The standard sole has often been the missing link for enduro riders - not any more! This bolt-on sole features lugs similar to what is commonly found on ATV boots or adventure boots will mean that planting your foot on slimy rocks and greasy roots will be more secure with this type of design. Specially blended to withstand wear and tear.